There’s a few more hours to get the 30% off your purchase at Old Navy, Gap and Banana Republic. Enter code STARS30. Enjoy! Celebrate America’s birthday with RUUM! They are offering for a limited time 50% off all sale items + FREE Shipping. You can save an additional 20% off with promo code RUUM4SUMMER at checkout! Head on over to Delia’s now until July 7th and score 40% off your purchase by entering AMERICA at checkout. Join American Eagle in celebrating July 4th! They are offering 40% your purchase – just enter 62087531 at check out. And it’s also free shipping! Happy Shopping! Today ONLY, PetSmart is having a One Day Sale and offering up lots of great deals on 157 items! Pet toys are marked down by as much as 50% and prices start at only $1.49 (be sure to sort low to high). Even sweeter, through 7/8 you can save an additional $3 off a $10 or more purchase when you use the promo code BDAY6CAT13 or save $4 off a $15 or more purchase when you use the promo code BDAY6DOG13. Plus, you can score FREE 2-Day Shipping with ShopRunner (or sign up for a FREE ShopRunner 30 day trial). And, be sure to share with other Hip2Save readers and view all the helpful comments on how you save on ALL things for your pet! Hanna Andersson’s Big Big Twice a Year Sale is still on and now they are offering an extra 30% off all sale items! That makes the total discount up to 75% off the original prices! Hanna sale runs through 7/7/13. Advertised price includes the 30% discount. Shipping starts at $5.95. Holiday weekends are always a great time to shop online! Check out this new LeapFrog Coupon Code! You will save 15% Off your order of $40 or more when you enter the code FREEDOM at checkout! This code is valid through 7/8/2013! Head over to Amazon where you can purchase this fun Kitchen Science Kit For $9.91! Plus, shipping is FREE with Amazon Prime or with Super Saver Shipping on orders of $25 or more! Barnes & Noble has this same thing priced at $12.95! 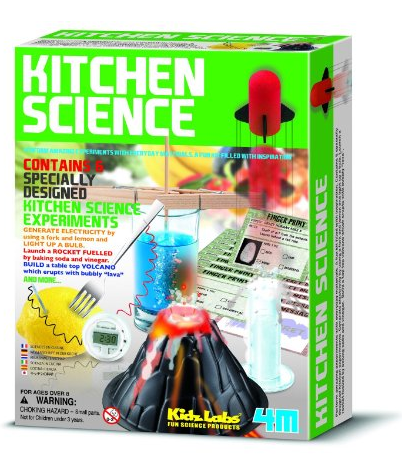 This fun kit allows you to perform six specially designed experiments focusing on kitchen science. Topics include generating electricity, launching a rocket, and building a table-top volcano. This is an excellent kit to use for classroom lessons, as part of a larger science project, or for fun home experiments. Yay! Through July 7th, Macy’s is offering up an extra 15% off select sale and clearance apparel for him, her and kids, plus fine and fashion jewelry with the coupon found here! Plus, use this same coupon to take an extra 10% off all sale and clearance watches, coats, suits, dresses, intimates, suit separates and sportcoats for him and select shoes and home items. Please note that some exclusions do apply, so make sure to read the fine print. If you prefer to shop online, use the code JULYWIS at checkout to snag up to 15% off your purchase. Plus, snag FREE shipping with any purchase of $99 or more (no code needed). Head on over to WetSeal.com where they are currently offering up 40% off all clearance items (note that the 40% off discount will show once you have added the item to your cart). Even sweeter, through tomorrow, July 3rd only, enter promo code WS25SORRY to snag an additional 20% off + FREE shipping! *After the 40% sale AND promo code WS25SORRY, just $2.39 shipped! * Go through ShopAtHome.com for 3.5% cash back or go through Ebates.com for 2.5% cash back!